The iPhone XS comes in three colors: space gray, silver and a new shade of gold. It's available in capacities of 64, 256 and 512 gigabytes. Notably, aside from the difference in screen size, there is no upgrade when jumping from the iPhone XS to the iPhone XS Max -- unlike the "Plus" models released in the past, the smaller variant of the flagship iPhone has the exact same camera system as its larger counterpart. We did find that color accuracy could be sacrificed in these lower light images -- one photo captured at an outdoor concert gave the ambient lighting a greenish hue that was not visible to the naked eye. However, the results still wowed. After sending one image to a friend, their first reaction was, "Wow, you shot that on a phone?" In practice, this new feature works quite well, adding a new layer of granular control that photographers will appreciate. The Portrait system is still imperfect -- what it chooses to focus on in the foreground can be hit or miss -- but shows signs of improvement from the iPhone X, and generally provides excellent results. Video recordings are also enhanced by new stereo capabilities. Our tests found that audio was noticeably improved when recording video, though the video itself appeared mostly the same (and still excellent). In fact, sometimes we find ourselves deferring to recording video and using the image capture tool in Apple's Camera app to get the best results -- a testament to how well the 4K video footage looks when captured at 60 frames per second. Face ID is also a rock solid biometric solution, working reliably and in situations where you might expect it to fail. That's not to say it's perfect -- there are situations where sunlight or the wrong pair of glasses will cause a problem. But frankly, Face ID outperforms the home button in this respect too, as Touch ID failed with sweaty or wet fingertips, and was completely unusable with gloves. Face ID is a definite improvement from Touch ID, and it continues to shine on the iPhone XS. Ask anyone about possibly replacing their entire wallet, their house keys, or even building access cards with their smartphone, and you'll get a common response: "What if my battery dies?" With the iPhone XS, Apple is addressing that concern, potentially paving the way for wider adoption of NFC-based access cards. In short, if your iPhone battery dies, supported NFC cards -- certain transit cards in Asia and ID cards at a few colleges in the U.S. -- can still be used in an ultra-low-power mode, ensuring you can still get on the subway or bus, or enter your building. Last year with the iPhone X, Apple made a giant leap forward and completely shook up its iPhone lineup. This year, the rest of the lineup is taking cues from the groundwork laid by the iPhone X. The iPhone XS isn't another giant leap -- it's continuing down the path forged by Apple's brilliant rethinking of the entire iPhone platform, with a significantly improved camera thrown into the mix for good measure. It would appear this tired old meme is unfounded as the X Max is outselling the XS in droves. Same old, same old carping about the price of Apple’s products. Get over it Mr. Hughes. There is one thing that is excessive; the PRICE. Can someone explain what this means and how you go about it? " In fact, sometimes we find ourselves deferring to recording video and using the image capture tool in Apple's Camera app to get the best results". Is this referring to shooting in 4K 60 then somehow extracting a still from that shoot in the camera app? From the exact same review you are quoting: "Priced at just $100 more than the iPhone XS, we see the iPhone XS Max as a decent value." I can assure you I'm over it. When shooting video, you'll see a white shutter button pop up in the lower corner. Tap that and it will capture still images from the video while you record. After overcoming a couple of migration hiccups going from iPhone 6 Plus to iPhone XS Max I am totally thrilled with the new device. I thought that losing TouchId and the home button would take some getting used to but I'm already past that point in less than 24 hours. I keep thinking that I forgot to set a passcode or set the display timeout too long because the Max is always ready to go as soon as I touch it. The XS Max is one extremely smooth and responsive device. When you lease you pay for tax and the first months payment up front, so there is an extra expenditure when you trade up yearly. Can you do a few timing tests to characterize the performance differences between the iPhone 6S, 7, 8, X and XS? You don’t need a stopwatch. You can use the XS camera and record at 60 fps. Then, just use iMovie or favorite video player that displays a time code on in hundredths of second, or really, per frame. Make sure all apps are flushed from memory, restart, you know the drill. How quickly does the keyboard pop up for the same apps? How quickly does it transcode a 1 min, 10 min, 60 min video? How quickly does it run a Pythonista script? How quickly Safari renders a canned, but complicated webpage? Then, if you want to record in 240 fps, determine how many frame drops occurs for app switching, keyboard pop up, scrolling through a variety of apps, etc. XS might be great but Cellular reception on iOS has so far been terrible on 5s and 6s in the family. So bad as to render the phones practically useless outside of wifi range. Can't use Messages, Safari, and any apps that require connection to server. Apple better fix this soon. • Face ID is much faster. Rarely do I even notice it occurring. With the X, it was so slow that my eyes would routinely go to the padlock to make sure Face ID was working. The XS (Max) unlocks so quickly, there's no time to wonder if Face ID worked. • The phone is much more responsive overall. • Color photos have a lot more POP and, as the article mentions, the focus speed and low-light performance are amazing. • 512 GB means I will never have to ponder what to delete. • Even with just 2 bars, LTE upload and download speeds are comparable to my premium cable broadband service. • The "big" keyboard I missed from the Plus phones is back! • Websites are usable with larger fonts from the Plus days again. • Qualitatively, the XS Max battery life is OK but doesn't seem as long as the X (which I found to be amazing). N.B. After using Face ID, Touch ID doesn't just seem quaint, it seems antique. Advantage of the smaller charger: the Li-ion battery will last more charge/discharge cycles. If you want to lower the useful life of your battery, quick-charge it every day. To YOU. Apparently, not to everyone else that's buying it. I’m on the iPhone Upgrade Program, I believe the X payments are spread over two years. If I wait this one out, by this time next year my X is paid off, and I own it outright. I can then buy the Whatever ‘19, continue the same payments I’m used to, but have an extra X to do with as I please (sell, give to family, etc). Right? 1) Face ID is still slower than TouchID was and in my opinion it's still not as secure as TouchID, nor is the lack of a home button a benefit in terms of interface. Granted, I enable the "assistive touch" function on my iPhone so as to prolong my home button and assuming this feature is available on X I could see this as a better replacement for TouchID than the new gestures required to close apps etc. 2) I think the phone being more responsive has little to do with A12 vs A11. In the benchmarks the only noticeable improvement was in the metal score. The single and multi-core scores are very similar from A12 to A11. The likely culprit here is iOS12. This has been by far the best release in terms of performance increase that I can remember, dating back to the first iPhone I owned (iPhone 3G). I have a 64GB SE and did a clean install with iOS12 and it's been buttery smooth. I know there've been some other hangups with iOS12 on other phones but in terms of speed on the device iOS12 has been fantastic. 3) 512GB means you just spent a crud ton of money to achieve laptop like storage. While I do lots of videography and can certainly appreciate storage, for the price Apple charges, forget it. I'm with the majority here who says baseline should be 128GB and if that was the baseline, that's exactly where my money would go. Anything beyond that is complete excess given Apple's pricing. Yes, it's NVME storage and it's fast and wonderful, but Apple is still gouging here for memory increase. 4) I'm not sure what your premium broadband service speeds are, but I have fiber and my speeds in home are 100mbps upload and download. Even if the XS has much better LTE capabilities I would be SHOCKED if AT&T had the service to meet it here in Central Florida...or Verizon for that matter. I consistently get about 14-17mbps download/6-10mbps upload here and it's been that way for a long time. Haven't seen 20mbps+ since about 3 months after the 5S came out since these networks clearly have no intention of actually improving backhaul but rather like to publish numbers that are absolutely false in the real world. 5) the big keyboard is a to each his own thing. I went into Best Buy yesterday to handle the XS and it didn't take me 30 seconds to realize how disgustingly large it is. If I have to upgrade it will be from SE to 7. I'm just still holding out my 1/2 ounce of hope Apple might surprise me in a few months with an SE 2. I really wish there would be enough of a cry for that size from the current faithful to make Apple think twice about canning it. Aside from the fact that they make their phones entirely out of GLASS now. Every drop test with these phones shatters them at about 3 feet. Since Apple obviously can't figure out how to make a wireless charger, there's no other reason to be using glass. Bring back metal and stop making the most handled device in people's lives out of the least shatterproof material out there. Would you make a car key out of glass? To me this is an equivalent comparison in proving Apple's stupidity and stubbornness. 6) I'm sure web sites are fantastic on the bigger screen. You know what though? They're even better on an iPad. ...and a laptop is better than that ...and a TV is better than that. As a video guy and a small business owner there's no way on earth a phone will ever replace my computer so rather than glue my head to a mini screen all day, ignoring the roses (and people) around me, I'd rather have the screen be capable of light lifting but be durable and pocketable. We used to make fun of people for having a "Zack Morris Phone" and now we celebrate this? This is progress? 7) No comment on battery life other than Apple thinks good battery life is just getting through the work day. I'd like to come home and have 50% remaining still, at least. Get me through a day and a half in case I forget to charge. In my case I keep chargers in both cars, the office and in my house. Good battery life would eliminate this. I still think FaceID is a complete gimmick and there should be touch, even if it's just integrated into the screen. They built 9 years of phones on TouchID and taught people how to use that as the primary interface...and then changed it. What's next? Introduction of a physical keyboard as the new standard? The Blackberry people would be happy I'm sure, but the rest of us would be quite confused by Apple's idea of "progress." A lot of opinion masquerading as fact. Sorry bro but Face ID is more secure than Touch ID, fact. You’re entitled to opinions but not to your own facts. You dont even have the X but call it a gimmick. classic. IMHO most of the time Face ID is much faster than Touch ID. Touch ID requires one put their thumb on the home button. Face ID unlock just happens. I merely look at my X/XS and it unlocks when a notification comes in. 1Password unlocks automatically. The phone stays unlocked just by my looking at it--I don't have to tap the display or set a long sleep time to keep it unlocked. Apple claims Face ID is 20X more secure than Touch ID (1:1,000,000 vs. 1:50,000 false positives). Exceptions for Face ID might mostly be identical twins, but that's not an issue for almost everyone. btw: The iPhone 7 and 8 models don't have physical home buttons. If you're using Assistive Touch to preserve your home button, then you've got a 6S or earlier, in which case your phone is a slug compared to the 7/8/X/XS. It might not even have the fast Touch ID of the 7/8 models. I used both the X and XS under iOS 12. To me, the XS feels significantly faster. My laptop has far more than 512GB storage. If you don't have the need nor money to spend, that's not my business, nor is my business yours. This is not a competition over our broadband speeds or whether fiber is faster. My point is that the XS is multiple times faster than the average home cable broadband speed. Well, okay, Speedtest reported 171 Mbps down, 20.1 Mbps up, my cellular provider is AT&T, and I ran the test in my basement. 5) the big keyboard is a to each his own thing. I went into Best Buy yesterday to handle the XS and it didn't take me 30 seconds to realize how disgustingly large it is. Yes, and I appreciate the larger (not "big") keyboard on the XS Max (and Plus series iPhones). Where've you been that you've not held a Plus-sized iPhone in the past 4 years? The XS Max is basically the same size as the 6 Plus from 2014. It's good to know even Luddites can survive in the video business. You must be strong to carry a big screen monitor with you all day whenever you need to do a web search. Sounds like your SE could use a new battery, just as any old phone from any manufacturer would. That's fine to express your own opinion, even if IMHO it's based on naivety and inexperience. btw: Apple introduced Face ID after ten iPhone generations of only a home button and only 4 generations of just Touch ID being available before the iPhone X was released. Correct, though I will note that if you stick with the regular monthly payments and don't pay it off early, you'll have to wait until November to completely pay it off, as the phone launched a couple of months later last year. 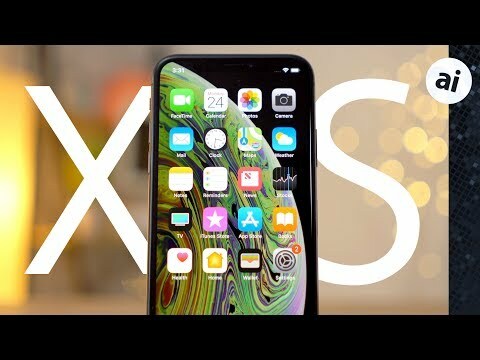 If you get the XS this year, you trade in your X, you extend your contract by another year, and your monthly payments are the same. People have been complaining about the price since the original iPhone and yet Apple keeps on selling so many units that their massive production line and component sourcing capabilities still can't keep up with demand. Because of this I've been saying for years that if anything, Apple is pricing their iPhone too low; meaning, it's below the equilibrium price which is why you can go to eBay and find brand new iPhones that are selling well above Apple's retail prices. I'm still on an iPhone 7 Plus and I'm not sure I'm going to update this year even though I paid up my iUP account last month. I checked the price on Gazelle a couple weeks ago and they were willing to give me $330 for it, or about a 1/3 of the price for a 64GB iPhone XS Max. I wouldn't sell to Gazelle, but that was easier than trying to discern an average price on eBay or Craig's List. I tried taking a picture with the front-facing camera and noticed that it seems to be applying some kind of "beauty filter" like a lot of the Chinese Android phones have started doing. Under the wrong conditions I look like a wax figure of myself. Using third party camera apps doesn't get rid of it. Apple really needs to turn this crap off.